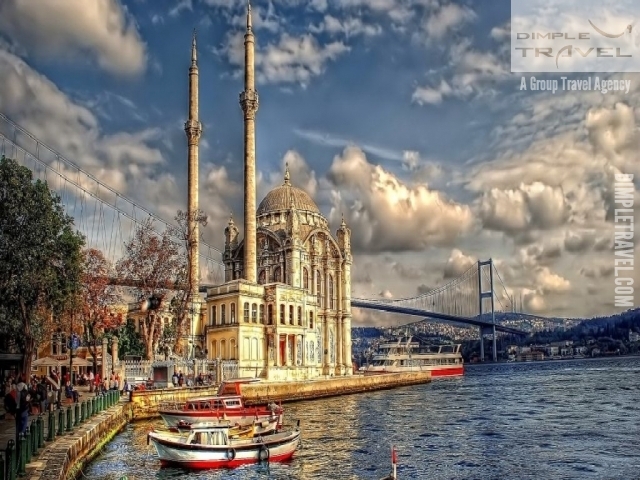 Istanbul is the only city in the world built on two continents. Its fate has been determined by its vital strategic location and enchanting natural beauty. It has long been coveted by powerful empires, and served as capital first to Byzantium and then to the Ottoman Empire. Istanbul is also at the heart of economy of Turkey. The largest companies and banks, the main national newspapers, television networks and advertising agencies all have their headquarters in this city. Bursa is situated at the junction of Uludag, a mountain with snow covered peaks throughout the year, and an immense fertile plain. Bursa, known affectionately as Green Bursa for its natural beauties and magnificent mosques, was once the capital of the Ottoman Empire and is today one of the Turkey\\\\\\\'s most pleasant towns to visit. The fairy chimneys of Cappadocia have been formed by the erosion of the elements over million of years.Cappadocia is Persian for the \\\\\\\"land of beautiful horses\\\\\\\". ıt is an enchanting open-air museum and an unparaleled example of the common cultural heritage of humanity. Centered on the triangle of Nevsehir, Urgup and Avanos, Cappadocia is in the middle of a once active volcanic region. 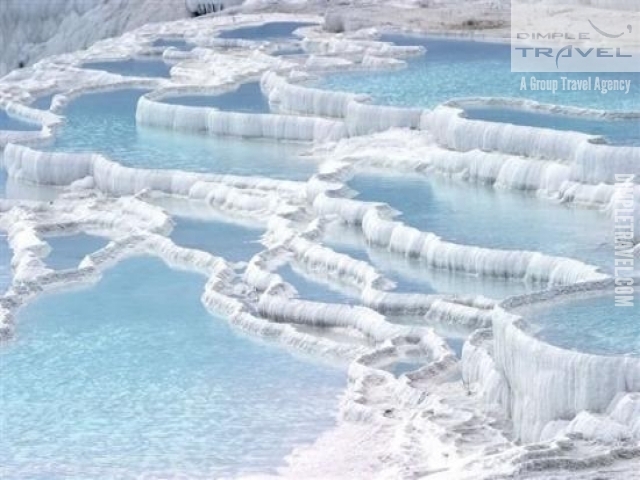 The breathtaking travertines of Pamukkale from the slopes pf the ancient city of Hieropolis, near Denizli Layer upon layer of these travertines have been shaped by the frozen limewater which poured out from the nearby thermal springs.The healing waters of Pamukkale which the ROman kings once came to bathe in year after year, now serve local and international visitors. 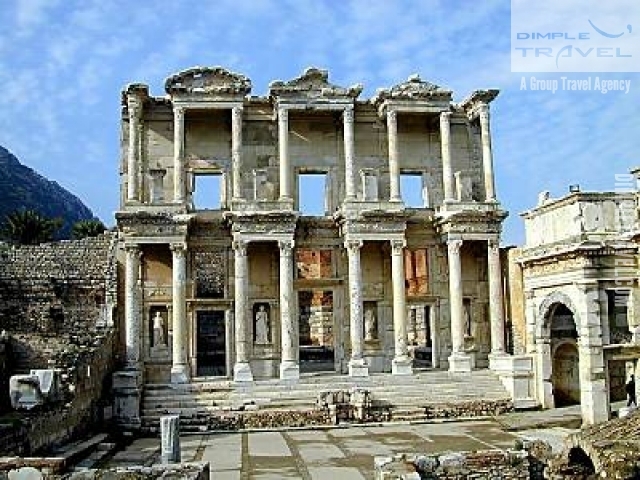 Efes, known in English as Ephesus, is Turkey\\\\\\\'s most important antique city, and one of the best preserved and restored.The Celsus Library is one of the most impressive buildings in Efes, Artemis was the Goddes of Fertility and a protector of the people of Efes. Troy was founded around 3000 BC, and played a major role in the importation of tin, vital for the production of bronze. A reproduction of the treacherous Trojan Horse of the Iliad now welcomes visitors from all over the world. Hundreds of thousands of allied soliders who fought in vain to capture the Dardanelles Straits, in order to cross over to Istanbul, and the heroic Turkish Soliders who defended their motherland during World War I now rest side by side forever in Turkish soil at Gallipoli. Edirne, teh second capital of the Ottoman Empire, is the main city of the European territory of Turkey. Considered his greatest masterpiece, the Selimiye Mosque was erected by the 16th century architect Sinan when he was 80 years old. One of the grandest public buildings in the world\\\\\\\'s architectural history, the Mosque complex was completed in six years. Spread on an extensive ground, Selimiye has huge dome which can be seen from miles away in the border town of Edirne. Safranbolu is a unique Black Sea town, venerated for its beautiful and well-preserved historic Turkish houses. Trabzon played an important role in history due to its harbour and its vital positioning on the kegandary Silk Road. Trabzon continues to be a busy city for transit trade and the newly enlarged port has increased its shipping capacity. 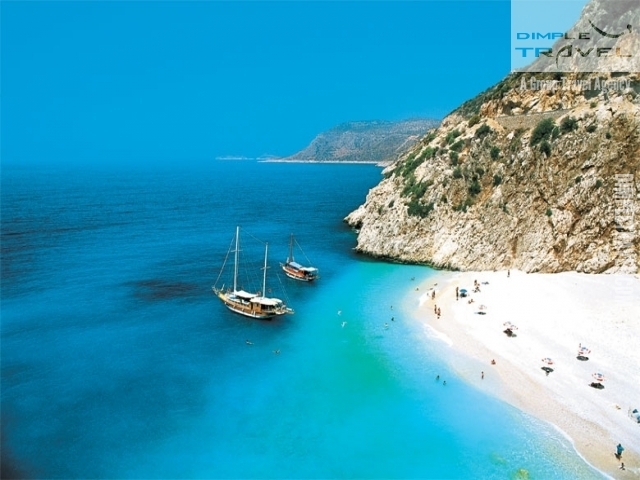 Antalya situated at the end of the Gulf to which it has given its name, Antalya is spread over a green plateau that plunges dramatically into the sea. Its glorious sandy beaches, Konyaalti in the west and Lara in the east, are several kilometres long and are lapped with crystal clear waters. A place not to be missed. Not much remains of the antique city of Telmessos as it was destroyed by earthquakes.But Fethiye, a sheltered town at the end of a bay covered with islands, attract holidays makers and tourist drawn by its natural beauty, its quaint plazas, narrow strets and lively market place. A visit to Turkey should not only take in all the great sights and monuments it should leave plenty of time for leisure and pleasure. Best Places To Visit in Turkey , Turkey offers immense resources in these areas; majestic mountains ideal for climbers, hikers and skiers over 8,000 km of coastline laced with picturesque bays and coves,lakes,year round summer in some areas,yet plent of snow in others; a solid and expanding tourism infrastructure; one of the world\\\'s healthies cuisiens and an extremely hospitable people.